Los Angeles Rams head coach Sean McVay said on Tuesday he's optimistic about the team signing superstar defensive lineman Aaron Donald to a contract extension. Andrew Siciliano of the NFL Network provided comments from McVay about his text-message correspondence with the reigning AP NFL Defensive Player of the Year. "He's responding more than he was at this time last year, so that's what I feel good about," he said. Donald held out last year until Sept. 9, one day before the Rams' season-opening game against the Indianapolis Colts. The 26-year-old University of Pittsburgh product didn't get the new long-term deal he coveted, but he didn't impact his on-field performance after the team exercised his fifth-year option. He racked up 41 combined tackles, 11 sacks and five forced fumbles across 14 appearances in 2017. Pro Football Focus ranked him as the NFL's best interior defender with a near-perfect 99.7 grade. In January, Rams general manager Les Snead said the organization is interested in getting something done but didn't know when a deal might be done. "To be honest with you, I would be probably lying if I put a timeline on this one," he told reporters. "But, like I've always said with Aaron...we want him to be a Ram a long time. So when we ink that deal or not—I can't put a timeline on it. But it is a major priority, as it always will be until we get it done." Donald is scheduled to make $6.9 million in 2018, a massive bargain for L.A., before potentially becoming a restricted free agent at season's end, per Spotrac. 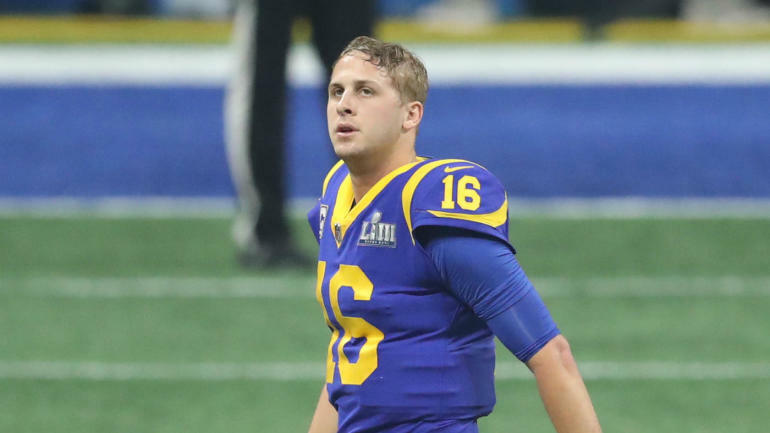 It's unclear whether the Rams' defensive cornerstone will engage in another extended holdout if an agreement isn't reached before the start of training camp in July.